Advertised as the world's lightest 2-in-1 PC, this convertible is powered by the Intel Atom x5-Z8350 processor, featuring up to 4 GB RAM and 128 GB internal storage. This week, Asus unveiled no less than three Transformer convertibles at Computex, but the main attractions seem to be the Transformer 3 and the Transformer 3 Pro. Unfortunately, not even the official press release paid enough attention to the specs of the 10-inch, more affordable Transformer Mini. Fortunately, after some members of the press took this convertible for a spin, more details have finally become public. 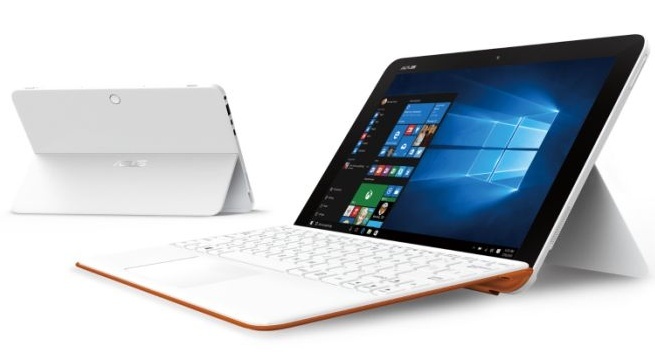 In terms of design, the Asus Transformer Mini is similar to the Microsoft Surface, having a kickstand on the back and a keyboard cover that attaches to the frontal side of the tablet using magnets. The weight of the tablet alone is 1.2 pounds, but by adding the keyboard cover as well, the Transformer Mini weighs a bit less than 1.75 pounds. Asus can be found at Computex 2016 at booth #0410 in the Taipei World Trade Center Nangang Exhibition Hall until the 4th of June.